Rating system will now include defined classes for ORC championship events, the VPP has better treatment for Code 0's, and a new method will be used for implied wind scoring; ORC grows by 10% in 2014, with over 9000 certificates issued worldwide. 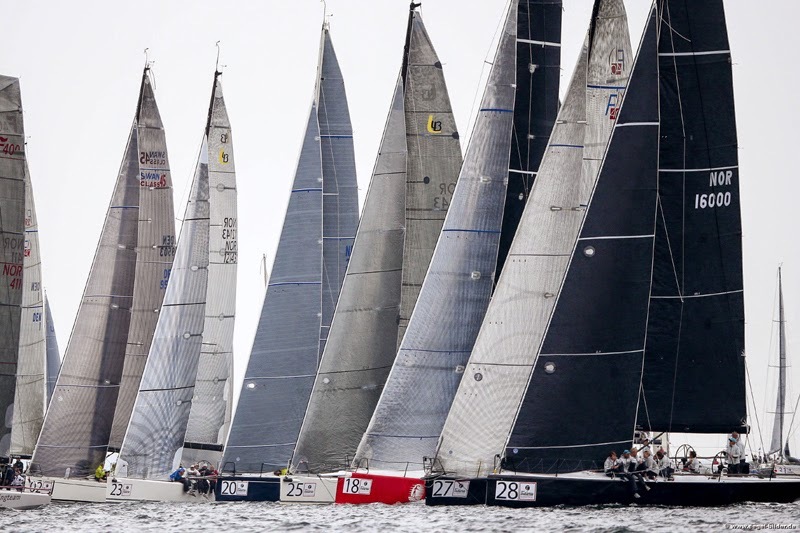 Amidst a 10% growth report on having issued over 9000 certificates worldwide in 2014, the recent Annual General Meeting of the Offshore Racing Congress is pleased to announces numerous improvements approved for use in the ORC Rules and policies for 2015. These include the invention of a new parameter named CDL to aid organizers in class divisions, changes in the format and scoring of ORC championship events, improvement on the handling of Code 0 sails, and several other minor adjustments and clarifications to the rules that reflect the wishes of the constituency through the submission process.The beta version of the ORC Velocity Prediction Program (VPP) is still under development, but trials runs on the ORC test fleet indicate only minor changes in ratings for 2015, with less than 1% change for most boats. A significant innovation is a new parameter devised by the International Technical Committee (ITC) to help define class limits in ORC championship events. This parameter, called Class Division Length (CDL), relates the upwind performance of an entry to the boat's rated length, and will be used by event organizers to better group boats of similar performance. CDL is therefore expressed not in terms of rating, but in meters of boat length. 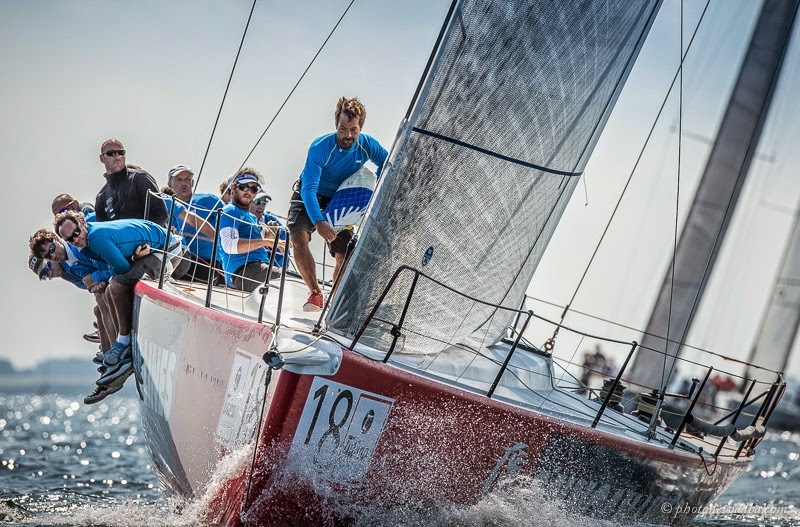 One of the first uses of CDL will be to define the limits for the three classes at the 2015 ORC World Championship in Barcelona, with the same limits recommended by the ITC for at the 2015 ORC European Championship in Parnu, Estonia. All 2015 ORCi certificates will have CDL values on them to provide guidance for event organizers and sailors, but GPH values will also remain listed for general interest. A full explanation of the derivation of CDL is available here, and a list of all boats with ORCi certificates in the 2014 fleet and their 2015 CDL numbers are available for download here. Improvements to the ORC VPP for 2015 include better treatment of headsails set flying with a smaller minimum area for headsails set flying and updated aerodynamic coefficients for a smooth transition in rating changes for between 110% jibs and 130% genoas. 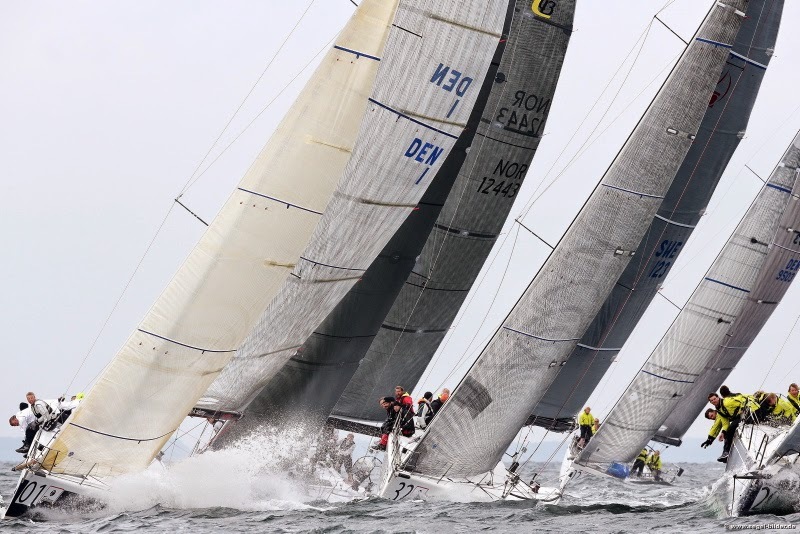 The 2015 ORC Green Book of rules and standards for ORC championship events has updated ti include use of the same scoring coefficient of 1.0 for all inshore and offshore races. 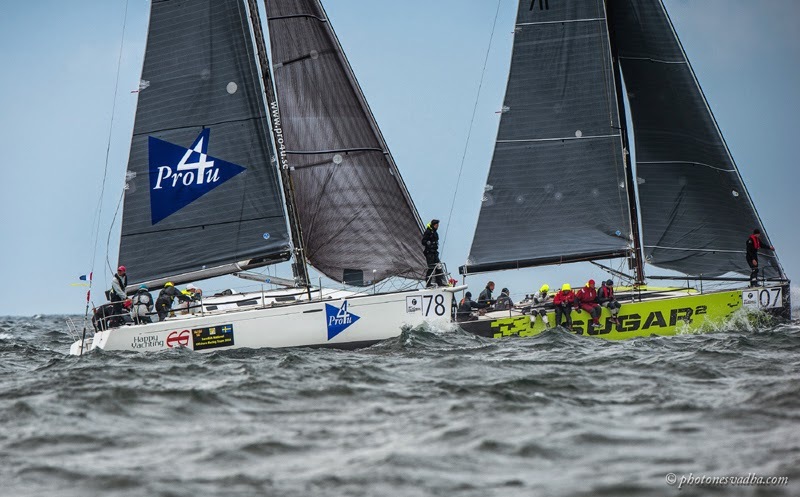 And while one discard is still allowed, an offshore race can be discarded only when two offshore races are completed, either as two separate races or as a long offshore race with a mid-course scoring gate. Another important update is approved on the use of Implied Wind in Performance Curve Scoring, where the Implied Wind speed of the winner of the race will now be used as the wind speed to score the remainder of the class. This will replace the current practice of calculating the Implied Wind for each entry in the class. Besides being intuitively correct that all boats race in the same wind speed on an inshore course, this new approach will also produce results which are more fair for light boats that are rated fast in light wind conditions. A re-scoring test of events in 2014 with the new method showed no significant change in the overall results, yet gave some better results to the lighter boats that were struggling to reach their rated performance potential in 6-8 knots of wind. Scoring software programs will be re-programmed in 2015 to reflect this new and more accurate approach to PCS scoring. Among measurement items, the stability measurement procedure is now updated with an option to have the boat inclined by the weights positioned on the boom in addition to the standard procedure with poles. This will be particularly helpful on boats that would require very heavy weights to be suspended, as well as boats without any spinnaker pole. A complete summary of the Changes to the Rules will be available once the final rules texts are finalized, with the target release date to be 1 January 2015. The complete Minutes of the ITC are available here, the Minutes of the various ORC Committees are available here, and the Minutes of the AGM will be available soon. For more information on ORC and ORC rules, classes and events, visit www.orc.org.